Portable Meat Farm is a domestic meat printer. 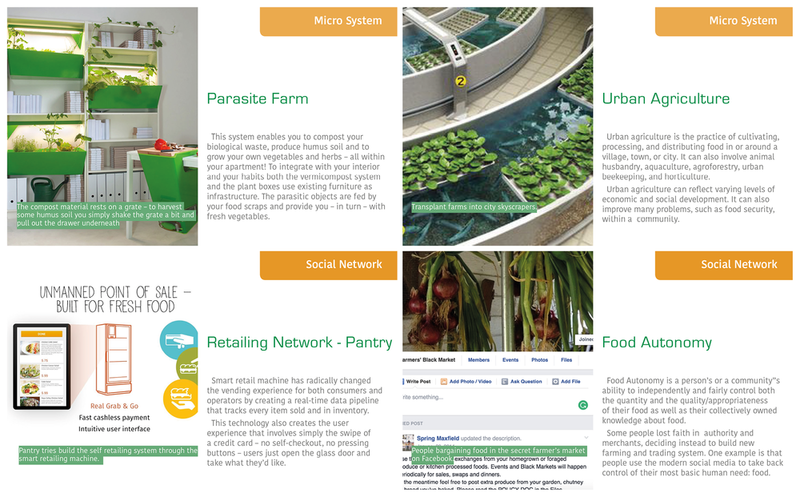 It is the reflection design based on the research the trend of “Micro-Farming Network”, which is inspired by Frog Tech Trends 2015. 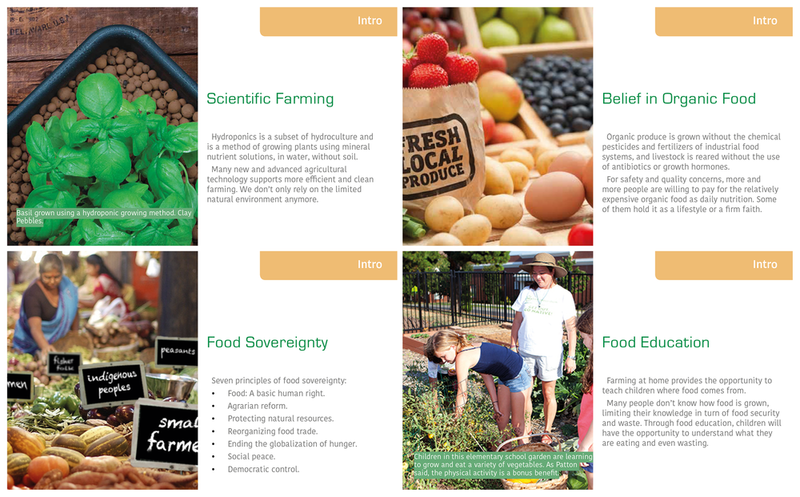 I started my research trying to understand the jargon and the technological support for new farming trends, such CSA, hydroponics, the design of domestic ecosystems and the community trading system. This helped me set the context for my design exploration. 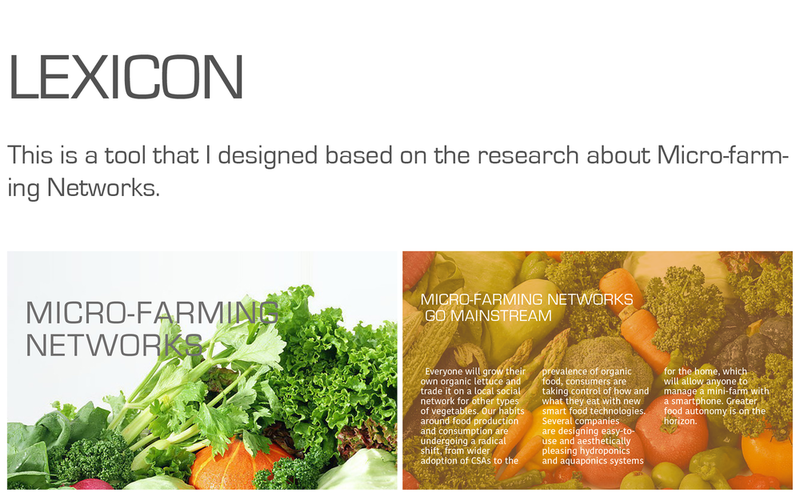 While researching consumer behavior I learned that people were tending to pursue options such as micro-farming as they now were hyper-aware of what went into their food and has lost trust in the produce supermarkets were providing them. They decided to take matters into their own hands and claim autonomy over the food they were consuming. In my research I also found existing technology that supports this food revolution. 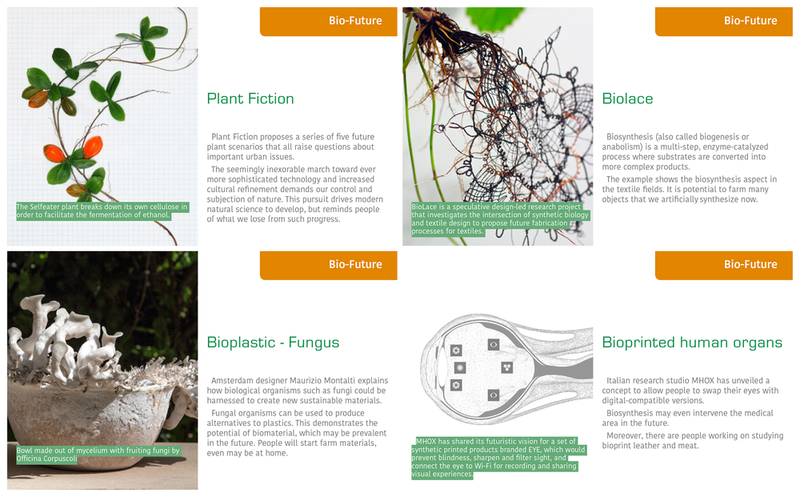 Technologies that define the future of food like bio-printing meat. Consumers were receptive of these technologies as they simplified the process for micro-farming and made it a domestic, counter-top appliance. This gave them a sense of control and safety about the food and nutrition they were ingesting. Taking advantage of the market, I designed a device that can help people synthesize meat at home. What’s better is that they can do so just by using the organic ingredients that they were already growing in their homes and not have to harm any animals. This product, in my opinion, helps them fully realize autonomy over their food needs. The Portable Meat Farm allows the user to innovate with the form of their meat and fully control what goes in it. The process starts by the user adding the provided animal cell nutrition into the cell chamber at the top of the bottle. They then need to add other ingredients that include fibers, protein and grease to the nutrition collector through the extracting tubes. The last step involves simply turning the device on by rotating the switch cap. The rest of the magic happens on the inside. The organic vegetable nutrients with start to synthesize in the irrigation chamber catalyzed by the animal cell extract. Once the synthesis is complete, the printer nozzle with begin to print the customized meat that the user had chosen.